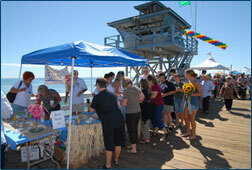 Want to Sponsor a San Clemente Chamber Event? To read more about the sponsorships possibilities available for San Clemente events, click one of the links below. 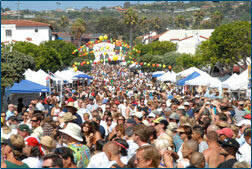 The San Clemente Chamber of Commerce hosts the Fiesta Street Festival on the second Sunday in August in beautiful downtown San Clemente. This premier family event was established as a way of showcasing San Clemente businesses and raising much needed dollars for local nonprofit organizations. This event features activities for the whole family, including food and game booths sponsored by local nonprofit organizations, three stages of continuous live music throughout the day, contests for all ages, a Salsa Challenge, arts & crafts show, members only business exposition, kiddy area, exhibits, clowns, jugglers, face painters and much more. The success of the Fiesta Street Festival is apparent in the numbers. Our nonprofit organizations typically raise approximately $30,000, which they contribute back into the community. 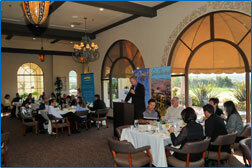 The San Clemente Chamber of Commerce offers various sponsorship opportunities. Below is the list of sponsorship marketing benefits as well as the sponsor contribution amounts. Name and/or logo identification on all advertising and press releases. Your company logo and listing in the Official "Fiesta Street Festival Program". Logo on Chamber's Website - Home Page and Event Page. Logo identification on banners displayed along El Camino Real in San Clemente, approximately 20 banners. Event banner displayed across El Camino Real with your company's logo. Two booths at the Street Festival displaying your company's product or marketing material. Consecutive announcements naming your company as a sponsor throughout the day of the event. Banners displayed at the Street Festival on three stages, including the Main Stage. Chamber Business News post event advertisement thanking all major sponsors of the Fiesta Street Festival. A booth at the Street Festival displaying your company's product or marketing material. Name and/or logo identification on various advertisements and press releases. Your company listed in the Official "Fiesta Street Festival Program". Company listed on Chamber's Website - Event Page. Banners displayed at the Street Festival on two stages. As you can see the San Clemente Chamber of Commerce has many levels of sponsorship opportunities in which to market your business. The Chamber of Commerce would be honored to have your company sponsor our family event. 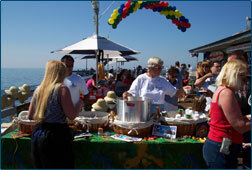 The San Clemente Chamber of Commerce would be honored to have your company be a sponsor of the "Taste of San Clemente." Below is the list of sponsorship marketing benefits as well as the sponsor contribution amounts. Your company's name and/or logo identification on all advertisements and press releases. Your company listed as Presenting Sponsor in the Official "Taste of San Clemente Food & Wine Tasting Guide." Sponsor Banner displayed at event. Consecutive announcements naming your company as sponsor throughout the evening. Opportunity to display your company's promotional material. Your company's name and/or logo identification on various advertisements and press releases. 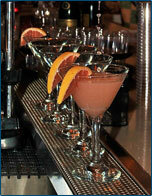 Your company listed as Sponsor in the Official "Taste of San Clemente Food & Wine Tasting Guide." Consecutive announcements naming your company as sponsor throughout the day of the event. 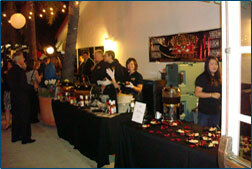 Your company listed in the Official "Taste of San Clemente Food & Wine Tasting Guide." Once again, the San Clemente Chamber would be honored to have your company Sponsor this family event. Please complete the appropriate form and e-mail to the Chamber. Call the Chamber for more information (949) 492-1131. 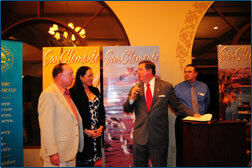 Thank you for commitment to the San Clemente Chamber of Commerce and the City of San Clemente. The Chamber's Annual Meeting of Members, Installation of Officers and Award Ceremony will take place on the third Thursday evening in February at the Bella Collina Towne & Golf Club. The evening will highlight the Chamber's accomplishments from the past year and goals for the future. In addition, at this event the Chamber will announce the "Citizen of the Year", "Business of the Year", "Educator of the Year" and "Outstanding Lifetime Achievement" award recipients. It is through the generous donations of our member businesses that the Chamber is able to highlight these extraordinary award recipients for their outstanding work, volunteerism and devotion to the community. The San Clemente Chamber of Commerce would be honored to have your company be a sponsor of the Annual Meeting of Members, Installation of Officers and Award Ceremony. Your company listed as Presenting Sponsor in the Official Installation & Award Ceremony Program. Opportunity to display your company’s promotional material. Your company listed as Sponsor in the Official Installation & Award Ceremony Program. Advertising on Chamber's Social Media Sites. The San Clemente Chamber would be honored to have your company Sponsor this family event. Below is the list of the sponsorship marketing benefits as well as the sponsor contribution amounts. Event banner displayed across El Camino Real with your company's name and/or logo. 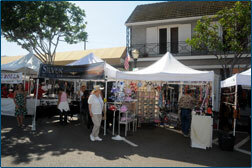 Two booths at the Seafest displaying your company's products or marketing material. Your company's logo on event T-Shirts. 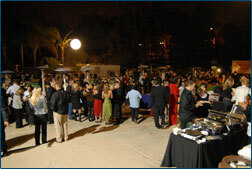 Your company's banners displayed at the event in various locations. Banner at Seafest displaying all sponsors. A booth at the Seafest displaying your company's products or marketing material. Your company's banner displayed at the event. Thank you for commitment to the community. As the San Clemente Chamber of Commerce is committed to continually striving to market San Clemente and member businesses, the Chamber hosts the “San Clemente Mixologist Competition,” a competition among area restaurant bartenders to see who has the best tasting original drink. Bartenders select their favorite “home made” drink, which will be judged by a select group of local dignitaries, at a San Clemente Restaurant on the last Thursday in March at 3:00 p.m. 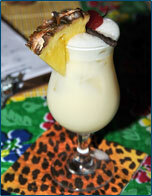 The winner’s specialty drink will then be adopted by participating restaurants as the official San Clemente drink. The San Clemente Chamber of Commerce would be honored to have your company be a sponsor of the San Clemente Mixologist Competition. Your company listed as Presenting Sponsor on all event marketing material. Consecutive announcements naming your company as sponsor throughout the afternoon. 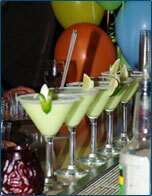 Invitations to the San Clemente Mixologist Competition. Your company listed as Sponsor on all event marketing material. Your company listed on Chamber's Website - Event Page. Once again, the San Clemente Chamber would be honored to have your company Sponsor this exciting event. The San Clemente Chamber of Commerce and the City of San Clemente is committed to supporting the men and women who courageously serve our County. 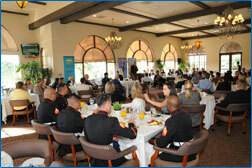 Each year the Chamber and City host events to honor the United States Marines and Sailors of Camp Pendleton. 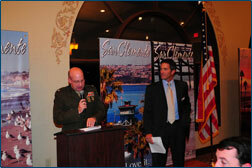 The San Clemente Chamber of Commerce would be honored to have your company be a sponsor of a Military Celebration. Six invitations to the Military Celebration. Four invitations to the Military Celebration. Two invitations to the Military Celebration. Thank you for showing your support and appreciation to the United States Military personnel. The San Clemente Chamber of Commerce would be honored to have your company be a sponsor of the Annual State of the City. Your company listed as Presenting Sponsor in the Official "State of the City Program." Consecutive announcements naming your company as sponsor throughout the morning. Company Logo on Welcome & Presenting Sponsor Sign at event. Your company listed as Sponsor in the Official "State of the City Program." To see pictures of this year's event, Click Here. San Clemente Micro-Brew Fest, Presented by Left Coast Brewing Co., is an exciting event which features Mico-Brews from all over Southern California - Guests enjoy Micro-Brew sampling, home-made food provided by various non-profit organizations and live entertainment. VIP guests enjoyed tours of the Left Coast Brewery and premier samplings. Held at Left Coast Brewing Co., 1245 Puerta Del Sol in San Clemente from 1:00 p.m. until 5:00 p.m. VIP starts at 12:00. The San Clemente Chamber of Commerce would be honored to have your company be a sponsor of the San Clemente Micro-Brew Fest. Display booth for your company's promotional material. Invitations to the San Clemente Micro-Brew Festival.